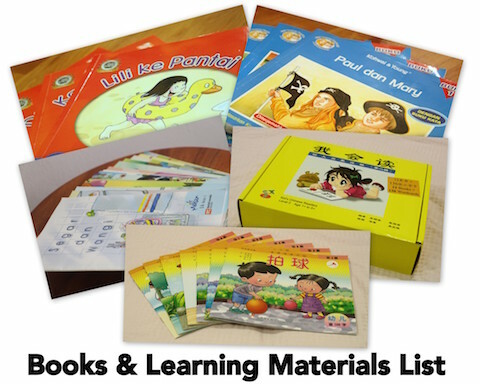 Below are some of the home practice learning materials for teaching children from age 3+ to 6 years old. We blend right brain and Montessori methods to achieve optimal learning outcome. That is, “right brain” materials can be used in a more Montessori way, and Montessori materials can also be used in a more “right brain” way. To find out how, you may join my next workshop here*. I start reading and speed-reading the books to my babies when they are little so that they get the flow of language. At around 3 years old, they start reciting the stories. The list is non-exhaustive and would be updated over time. Please join Mummy’s Homeschool Club (at the sidebar) to receive updates and free resources.